Add a touch of class to your Miche Bag with the beautiful look of Antique Brass Chains! This set includes both brown and black straps for the ultimate in versatility. 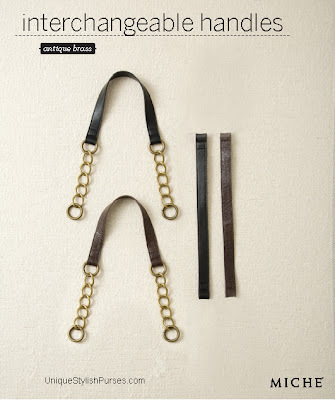 Set features two (2) black straps, two (2) brown straps, and four (4) antique brass chains.